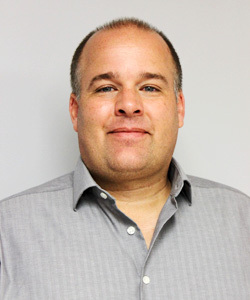 Jeffrey Myers, CPG - BJAAM Environmental Inc.
Mr. Myers is a certified professional geologist that brings over 20 years of experience in the environmental industry, the bulk of which has been as a consultant in the private practice of risk assessment and environmental consulting. As Executive Director, Mr. Myers is responsible for business development, contract negotiations, supervision of employees, and oversight of the Emergency Response division. Mr. Myers has expertise in projects regulated by the United States Environmental Protection Agency (USEPA), the Ohio Environmental Protection Agency (Ohio EPA), the Ohio State Fire Marshal/Bureau of Underground Storage Tank Regulations (SFM/BUSTR), West Virginia Department of Environmental Protection, Pennsylvania Department of Environmental Protection, and the Kentucky Department of Environmental Protection. Mr. Myers is also currently accountable for marketing strategies related to major oil UST related corrective action facilities within the State of Ohio, Kentucky, Pennsylvania and West Virginia. This responsibility also entails the composition of service agreements for scopes of work, and the oversight of multifaceted projects.